Texas Irrigation & Pipe LLC specializes in the installation and service of residential and light commercial irrigation systems. We are proud members of Hunter Preferred contractor program as a Platinum level member. View the Services page to see a full list of the products we use. 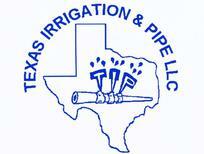 Texas Irrigation & Pipe LLC is family-owned and operated right here in Cat Spring, Texas conveniently located off I10 between Columbus and Sealy. Since our company opened in 1983, we’ve treated every customer like they were a part of our family. Other companies may offer similar services, but our services are the best, and come with a personal touch. We service a 100 mile radius but for special projects will travel further in Texas. Let us know how we can help. Whyman and Carolyn Psencik started the business in 1983. Whyman soon became a leader in the irrigation business in Texas. Carolyn is also a leader in the field with exceptional knowledge of hydraulic systems and backflow devices. Brian Psencik, joined Texas Irrigation in 2002 to continue the family legacy as a licensed irrigator leading the repair and landscape lighting divisions. On July 1, 2016 he became CEO of the company. 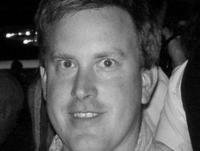 Brian acheived a BS in AgriBusiness from Texas State University - San Marcos and is married to Tracy Psencik. He enjoys spending time with his two daughters Abby and Sydney.